The author is very sure of his beliefs, which is fine, though the book could be read as didactic. Or rather, misread. There’s many interesting ideas and concepts from ancient times to modernity, especially from the stoics. I thoroughly enjoyed the book even though I found myself disagreeing with much of what he says. However, it’s the areas that I don’t concur with that I found most rewarding as it challenged and left me pondering deep questions. Such books are good for ones own growth and self introspection. 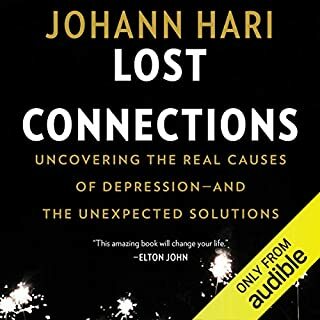 An enjoyable, satisfying and thought provoking book. 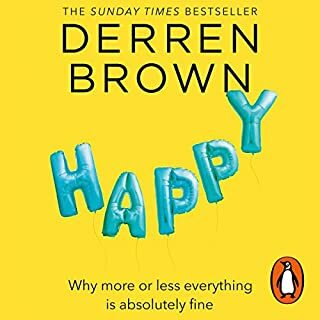 I’ve ordered many of the books Derren mentioned. ...then you had lousy parenting. I painfully went through the whole book, believing, after all there are many great reviews, that the ah hah moment would arrive. It didn’t happen. 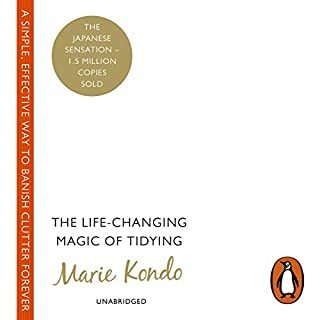 I found this book immensely frustrating. The narrator is superb, though I felt sorry for her having to read the bleeding obvious. A place for everything and everything in its place ... dad lived by that and even when he was bed bound, he still knew where everything was. Chuck out what you don’t need. Needs v wants. You know the stuff. The ole chestnut. Just Do It. Reading won’t do it for you. We all know a clean, clear area equates to clearer thinking. Save your money and buy something enjoyable. I feel mean not writing a better review. But it won’t change your life. It won’t change a lightbulb, unless you need the book to stand on. 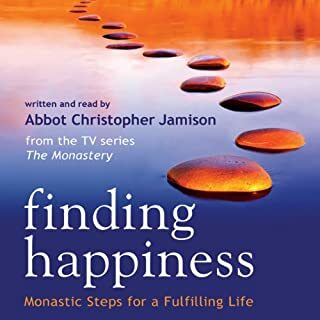 In this audiobook Abbot Christopher turns to monastic wisdom to offer answers, and to explain that in essence happiness is a gift not an achievement, the fruit of giving and receiving blessings. Everybody is searching for happiness but not everybody knows how to find it. In modern Britain, more and more people say that their life is too materialistic and superficial, which leads to a feeling of dissatisfaction. Finding Happiness is one of those rare gems of a book that serenely guides you through the trials of modern day life. Father Jamison has an excellent delivery and is a highly skilled orator. As with Finding Sanctuary it has been a blessing to read the book and listen to the download. Father Jamison takes the reader hand in hand to genuine inner joy. \"Are monks happy?\" His reply, \"They are not unhappy.\" That grabbed me straight away, along with his question about having a happy death! Having never thought about death being happy, on the rare occasions I think about death. I realised that to have a happy death, equates to having a happy and fulfilled life. With his profound insights, and effective communication, this book remarkably mirrors humanities embedded condition. With such elegance, we're guided through many of the reasons that make us unhappy. Ultimately the dark clouds dissipate, opening the door to inner happiness, if you so choose.. I pray that this also blesses you and sets you on a new track, as we pilgrim through life. This book is of a solid foundation to make a significant change in your life. Its timing in this troubled era is perfect.